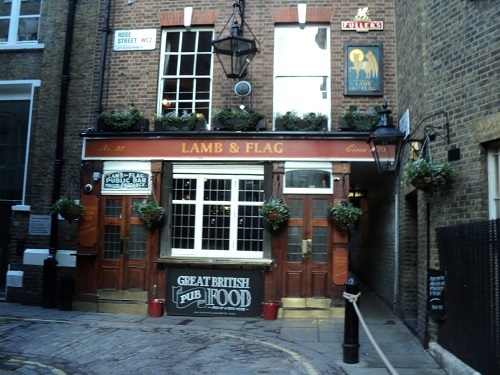 The Lamb and Flag tucked away in a backstreet of Covent Garden is a reminder of the areas past reputation as a centre of vice and criminal activities. There was a time when the pub was known as the Bucket of Blood because bare fisted fights were held in one of the backrooms. In the alley at the side in 1679, John Dryden the poet was beaten up by a group of men said to be in the pay of the notorious Earl of Rochester who had taken exception to one of Dryden’s pieces of work. 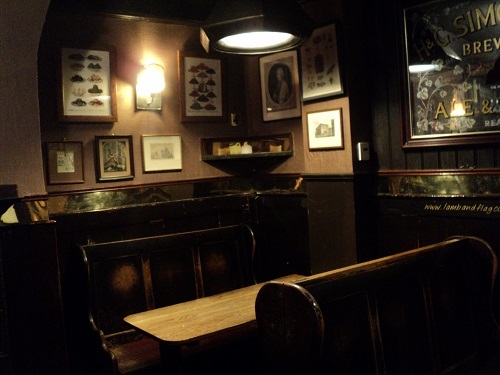 Like many pubs in London,there is claims that Charles Dickens frequented the pub in the 19th century. The has been licensed premises on the site since 1623 but the present building has a 19th century front fixed onto a 17th century core. 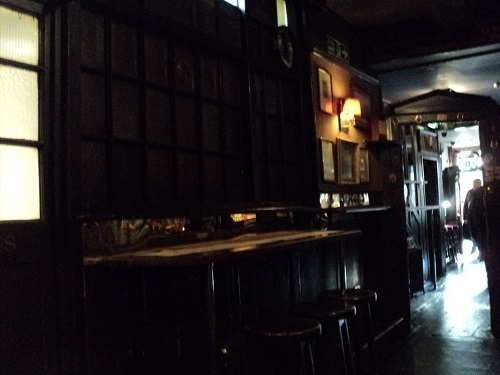 The pub had a nice well-worn wooden interior and the low beams only add to the attractive character. The only drawback to the pub is its popularity, it can get very busy sometimes in the week and often in the summer drinkers stand outside. 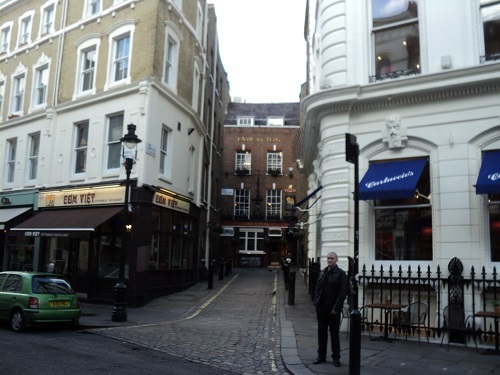 Another problem can be finding the pub tucked up a small passageway in the winding streets of Covent Garden, the easiest way to find it is from Garrick Street. 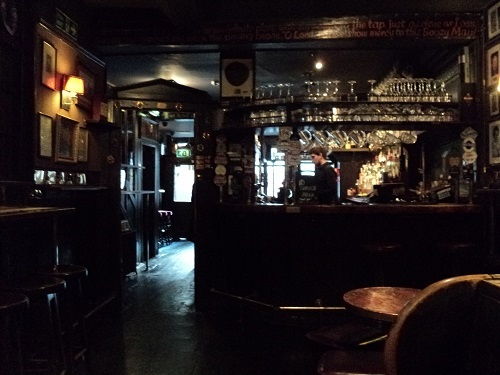 By londonvisitors2014 in Pubs of London, West End on January 23, 2014 .